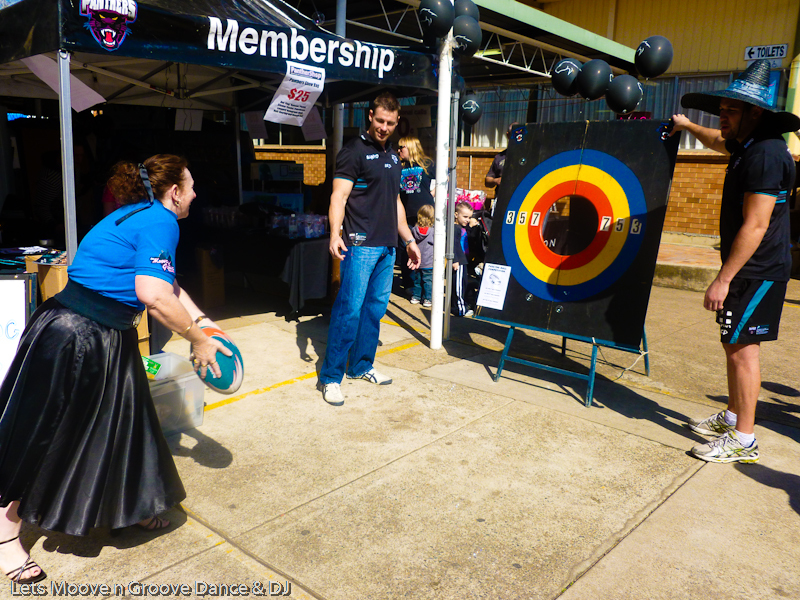 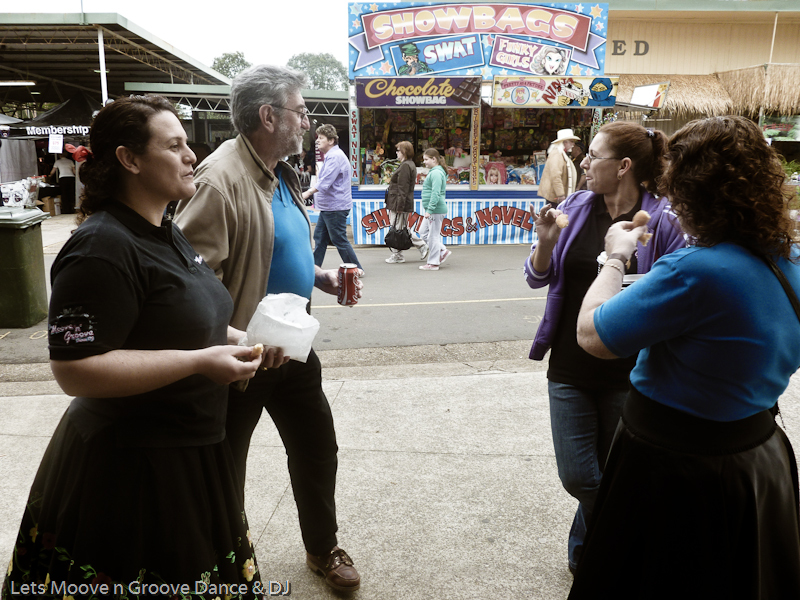 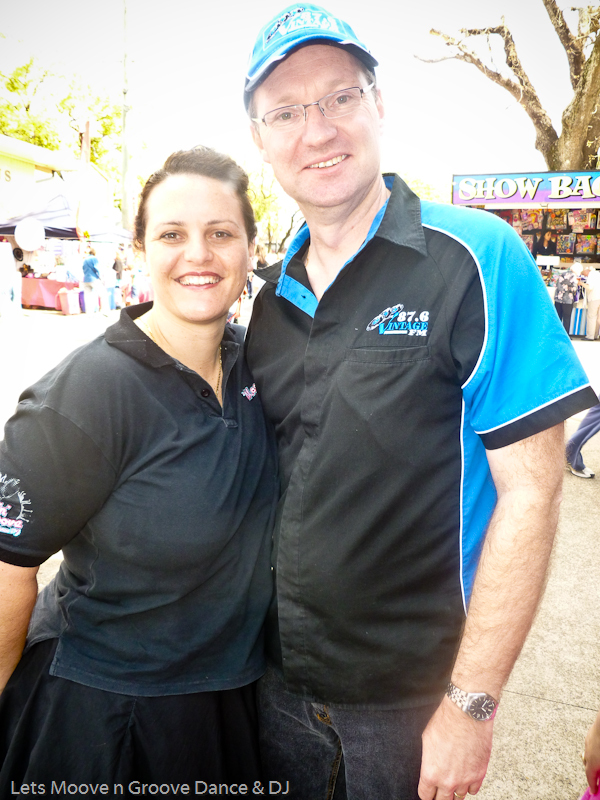 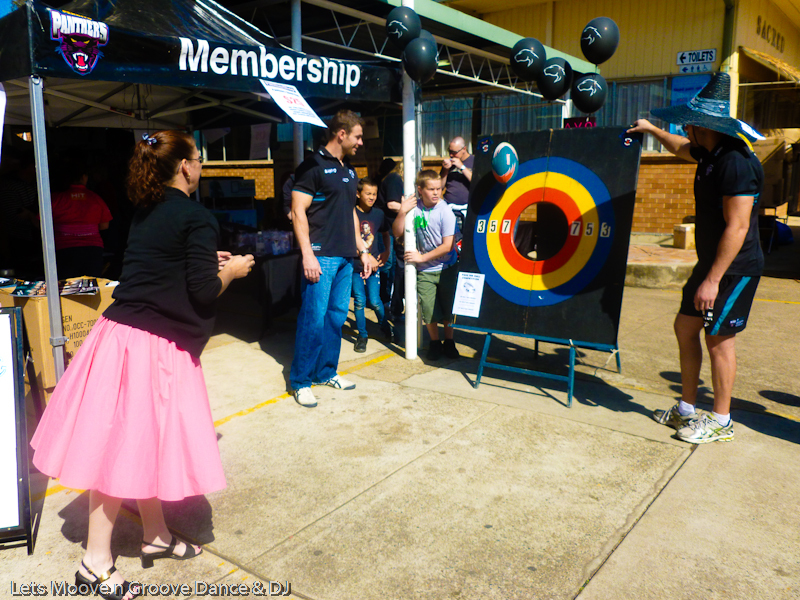 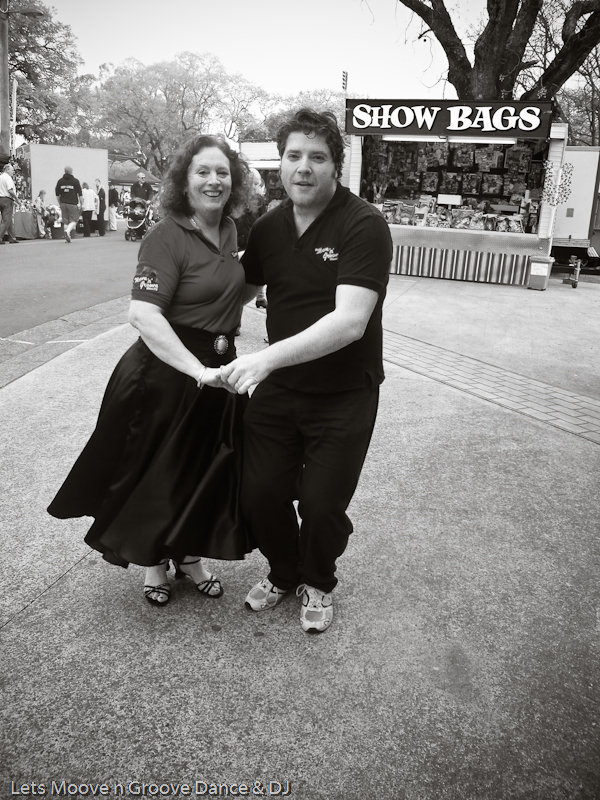 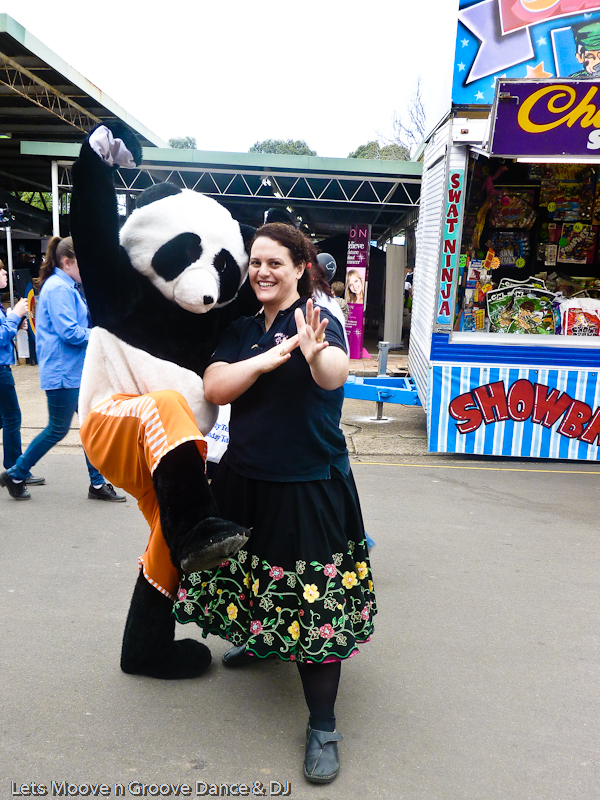 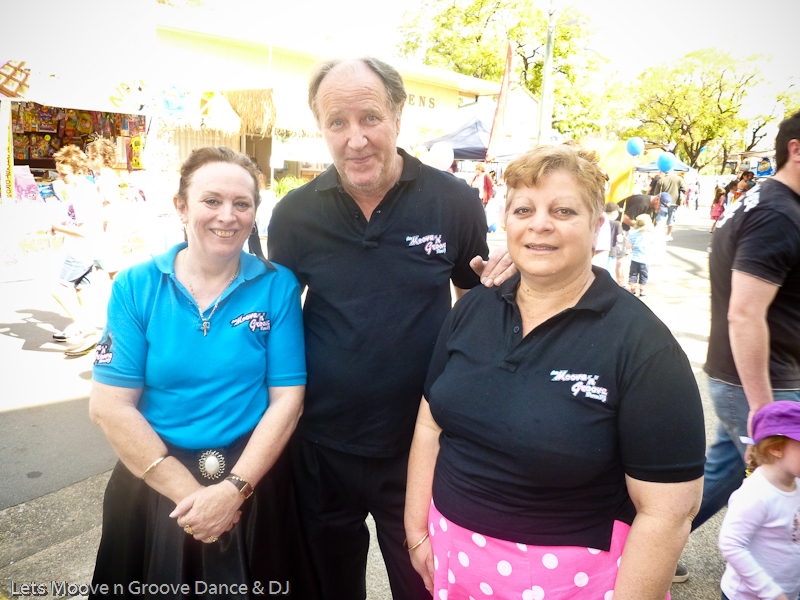 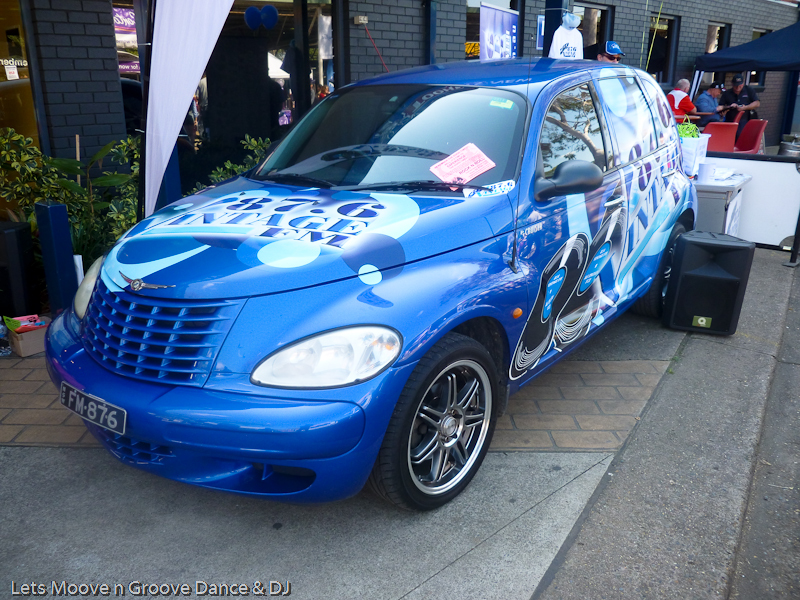 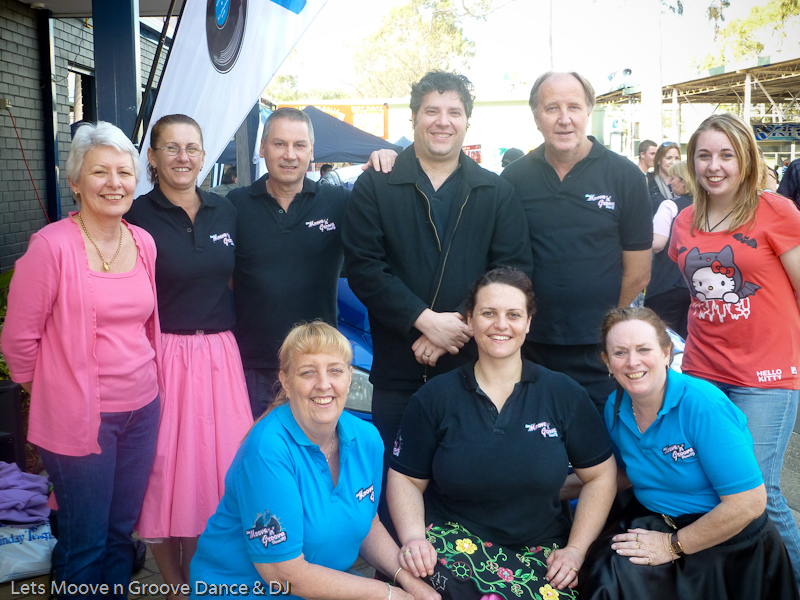 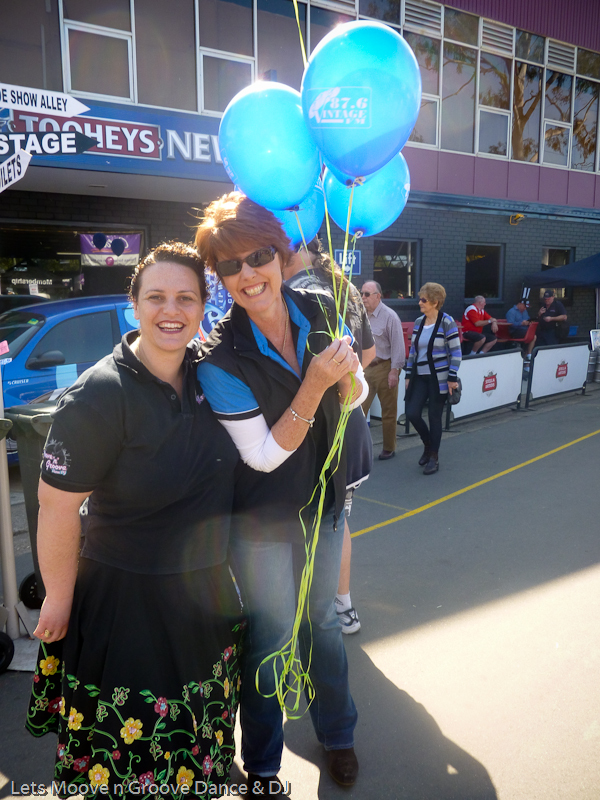 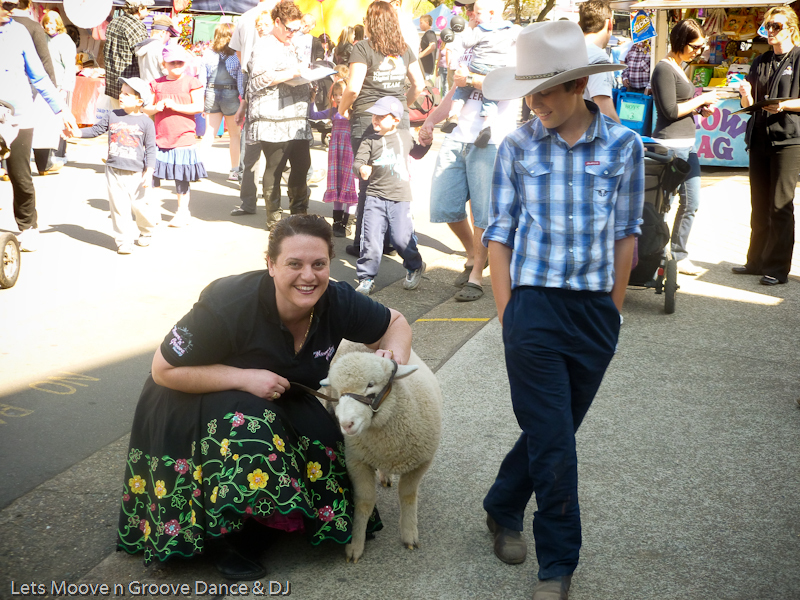 Let’s Moove n Groove Dance & DJ’s Rock n Roll dancers from all levels enjoyed 2 big days at the Penrith Show that was once again held at the Penrith Showground by Penrith Paceway. 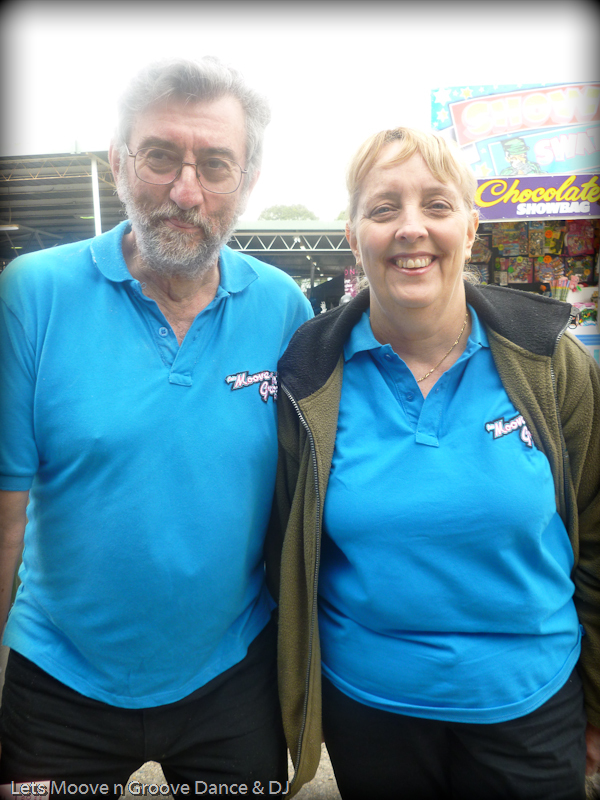 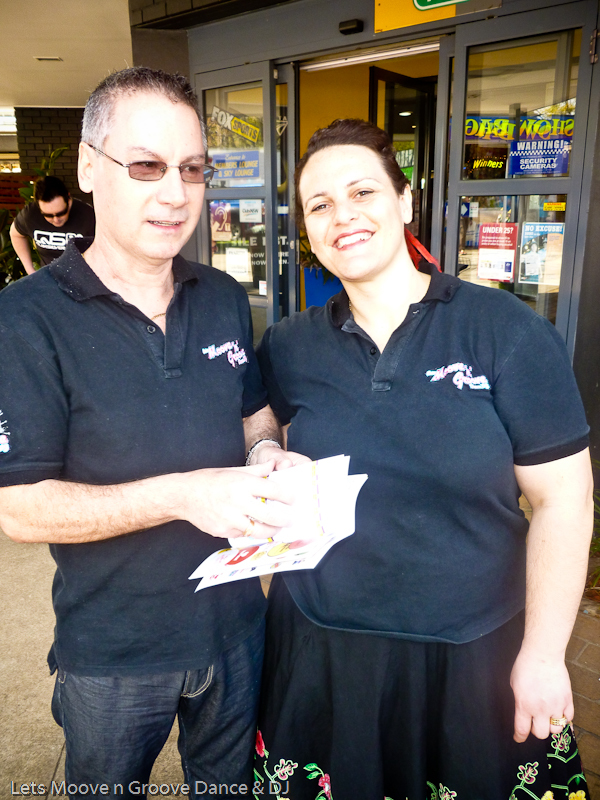 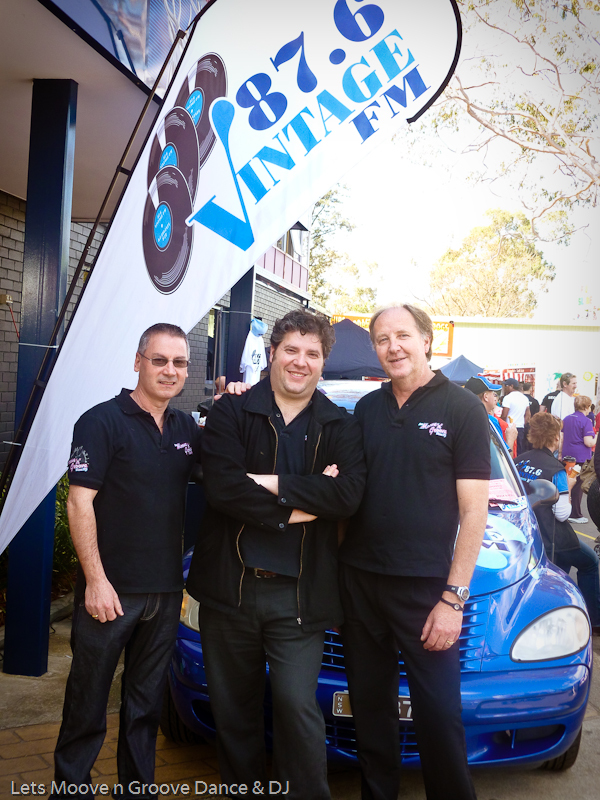 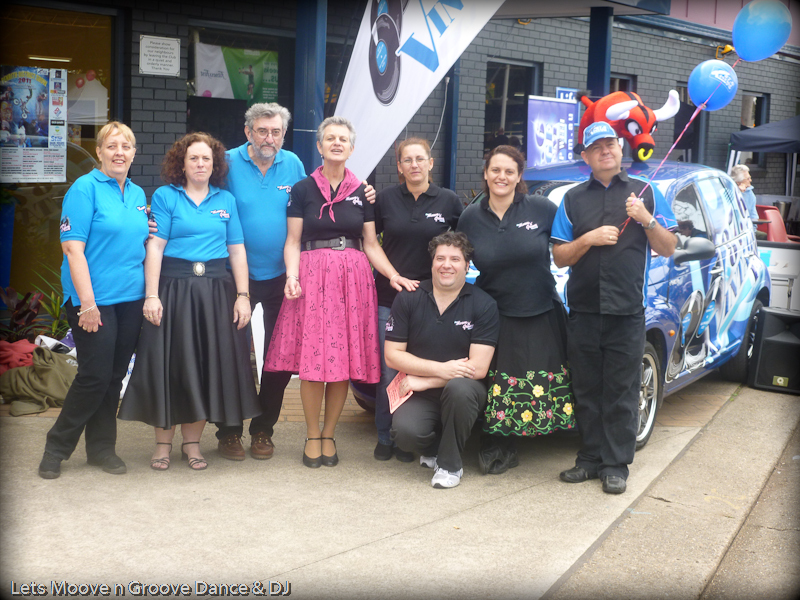 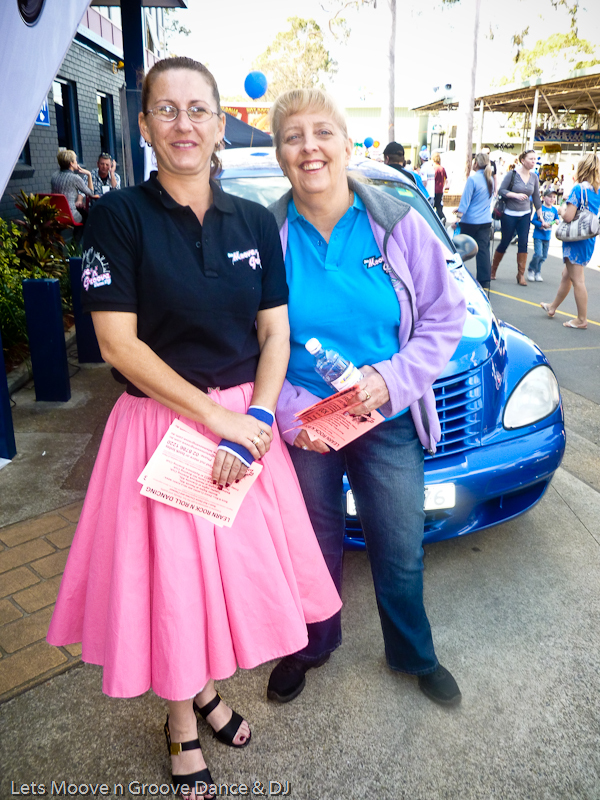 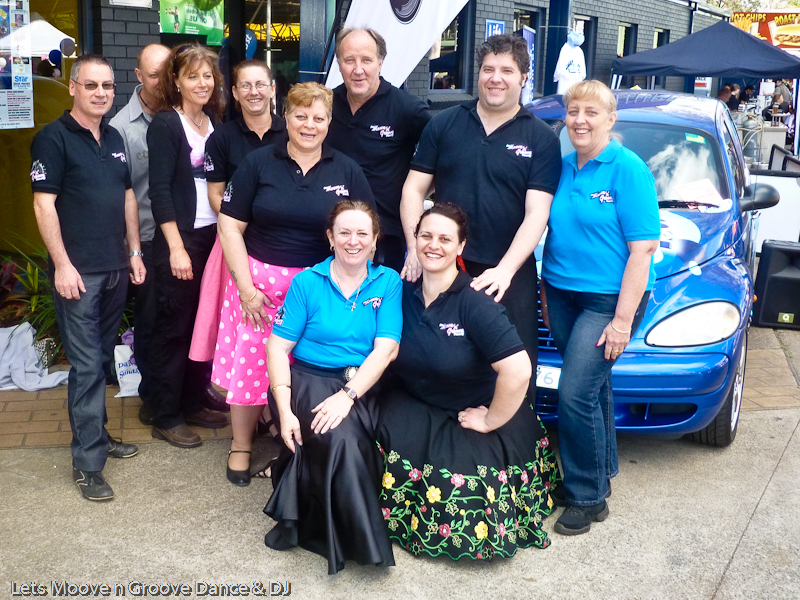 LMNG was working alongside our friends at Vintage FM 87.6 on Saturday, 27th August 2011 and Sunday, 28th August 2011. 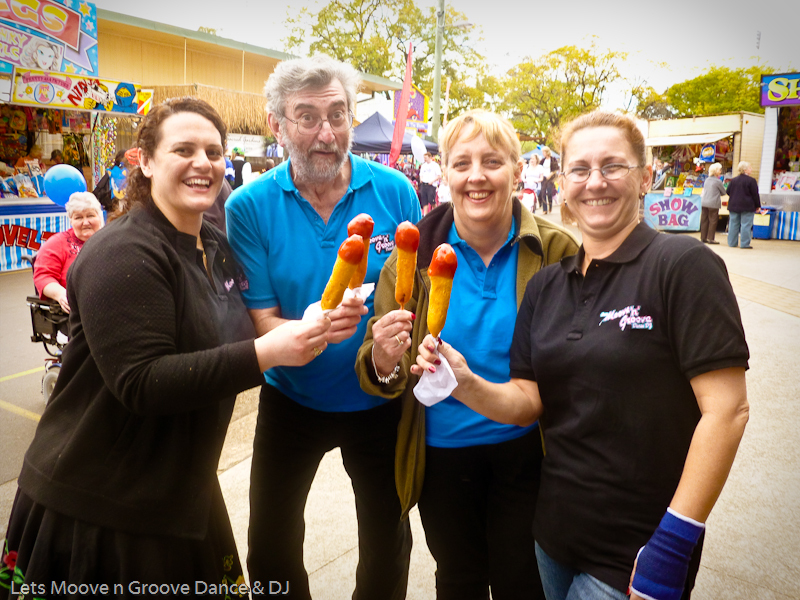 Just like last year there were a lot of families out and about enjoying the many attractions that the Penrith Show has been famous for including wood chopping, horse riding, stalls, amusements, dancing from hip hop to contemporary and of course Rock n Roll, lots of amazing singing talent and much more. 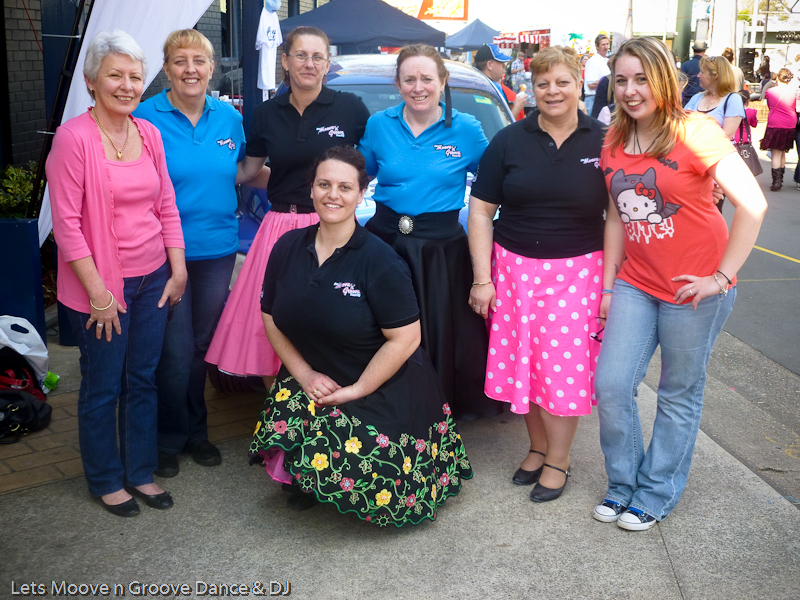 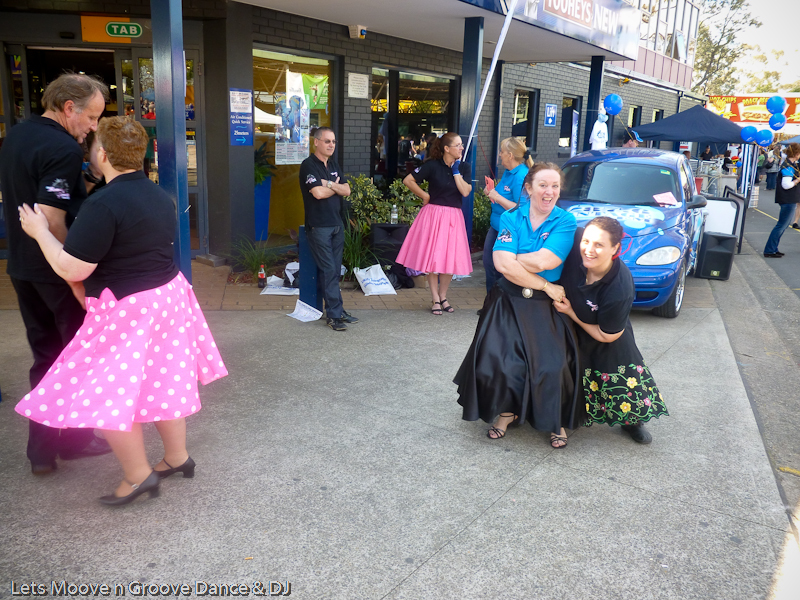 Many thanks for all the encouragement and support from those who were unable to attend and especially for those that committed hours on either 1 or both days to showcase how easy, fun and friendly the original and popular 50s/60s Rock n Roll dancing is. 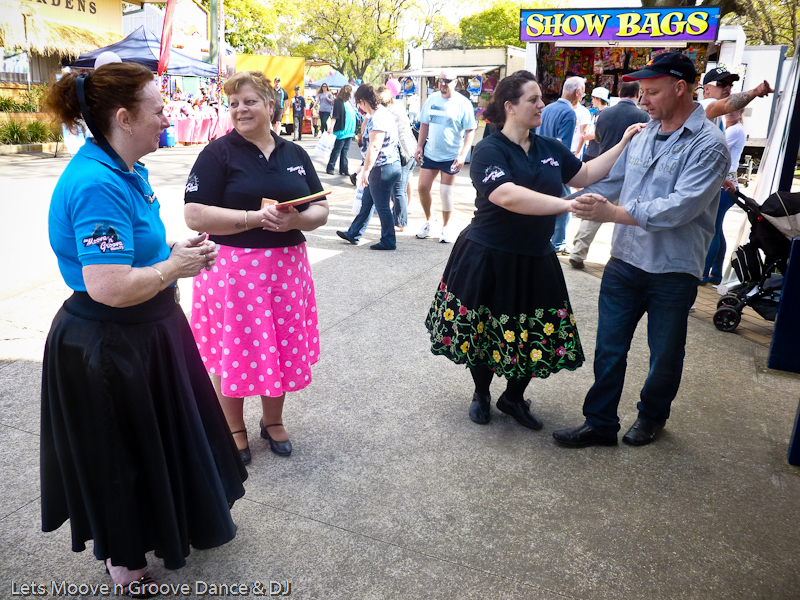 As always it is such a pleasure to be able to sit back afterwards and enjoy a quiet afternoon like we did at Penrith RSL on the Sunday and enjoyed a few more dancers and drinks in the Castlereagh Lounge to the fabulous band “Rockin Rebels“. 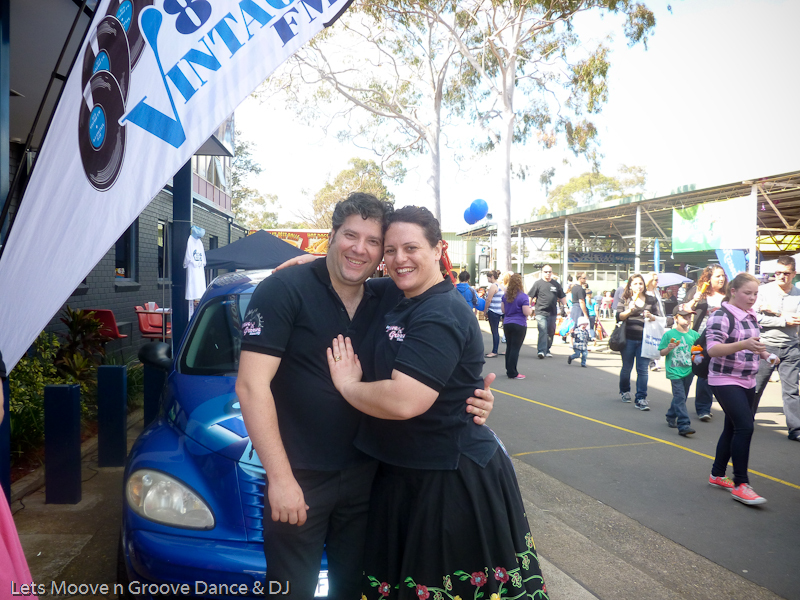 We hope you will enjoy the photos that will continue to remind us of all the good times had and to come as we continue to socialise, enjoy life and get out and about! 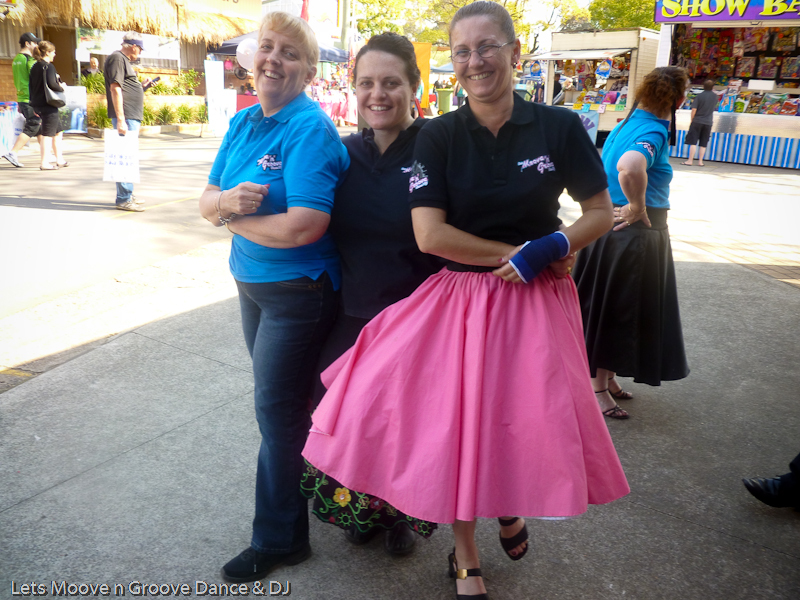 Remember learning to Rock n Roll dance can be so much more than just dancing, it can help you to be apart of something truly special and memorable, it could help you to form new friendships, enjoy time with people that share a common interest and give you the ability to socialise. 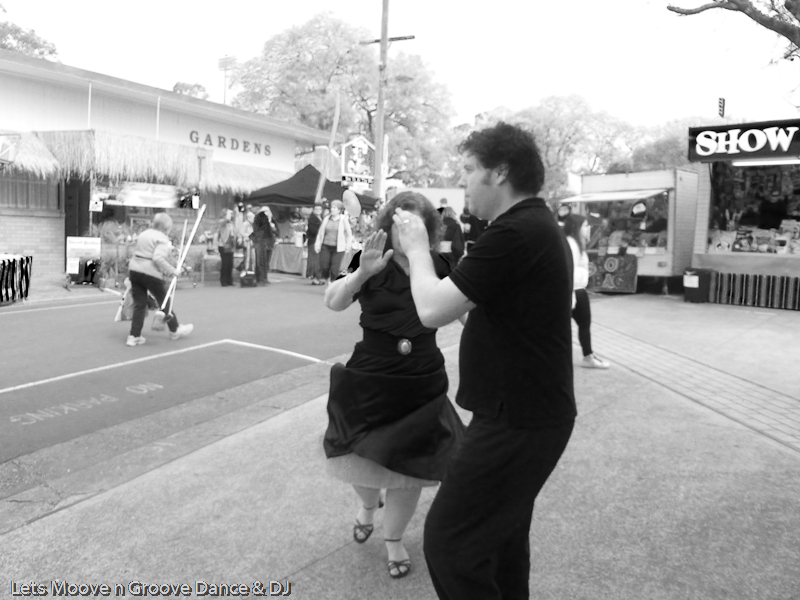 Rock n Roll dancing is also a great activity to improve your fitness and enhance your well-being! 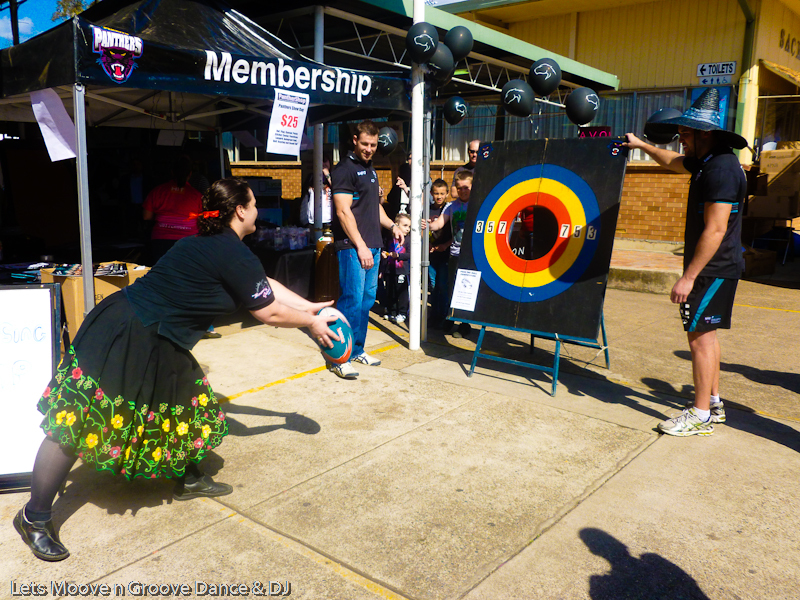 Activate your mind, body and soul by finding a local venue to learn and enjoy something that is fun and easy!